During hot Glendale summers, every home and business depends on having cool and comfortable air to live and work in. When your air conditioner breaks down, it makes for a very uncomfortable environment. If your Glendale air conditioning system has broken down or is operating improperly, make the first call to Arctic Air Conditioning and Heating. We are a family-owned business that has been serving residential and commercial customers with professional air conditioning services. Our customers appreciate our quick and reliable services to keep cool. When your Glendale air conditioner totally fails, Arctic Fox Air Conditioning and Heating offers emergency repair services 24-hours a day, 7-days a week. 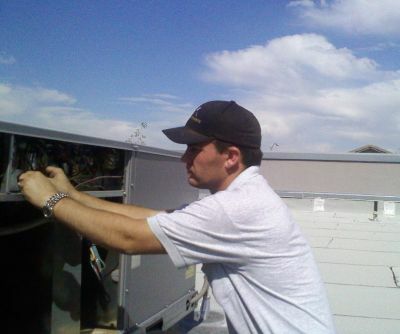 Just call 623-533-5718 and we will send one of our air conditioning technicians to your home or business promptly. 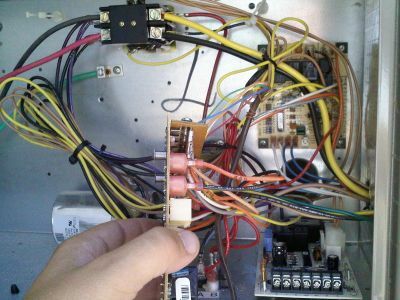 Maintenance is very important to ensuring that your air conditioner is ready for the hot summer days. To learn more, please visit Air Conditioning Maintenance Services. Not only do we provide professional air conditioning repair services, we also provide other valuable services for your Glendale home or business. Click on the links below to learn more about these services. When your Glendale home's air conditioner is in need of repair, make the first call to Arctic Fox Air Conditioning and Heating. We will respond to you promptly getting your air conditioning fixed to keep your home cool. Call Arctic Fox Air Conditioning and Heating at 623-533-5718. You can also reach us with any questions that you may have about air conditioning repair through the contact form provided below.